We are located on floors 9 and 10 in Widerströmska huset at Tomtebodavägen 18A, SE-171 65 Solna, Sweden. You can reach us by taking bus 3, 6, 67, 77 or 507 to Karolinska Institutet Biomedicum. Take the subway to the “S:t Eriksplan” station and take the Torsgatan exit to street level. On Torsgatan you find the bus stop. George Samrani is a PhD student at ARC. In 2014, he finished his master’s degree in Biomedicine from Umeå University. His research involves interference resolution in working memory, and how handling goal-irrelevant information can differ with age. 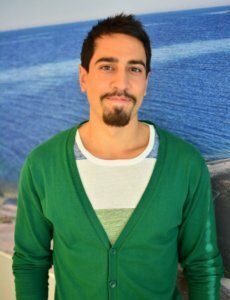 He mainly develops and uses cognitive tasks, brain imaging techniques (MRI, fMRI) and advanced statistics to specifically observe known brain regions relevant in controlling interference. His goal is to shed new understanding on how we actively deal with goal-irrelevant information in working memory, and if differences in the level of interference can be related to brain or/and age.